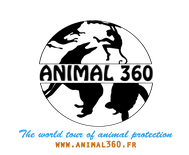 One day, the manager of the Ban Keun Zoo (located about sixty kilometers from Vientiane) visited an animal sanctuary in Australia, and noted the difference in the treatment of animals between the two places. He was moved to the point of wanting to turn the zoo into a wildlife refuge. The philosophies of each are opposed: instead of exploiting wild animals to make a profit, it is about saving lives of wild animals (often from illegal trade) and to release them when possible, without profit. Well-being is only accessory in the zoo, while it has a central place in the refuge. Thus was born the Laos Conservation Trust for Wildlife, the first wildlife rescue center in Laos. The transformation is underway: the big parks are next to small old pens, animals born in captivity and unable to survive alone, alongside poached animals and free destiny. The entrance to the zoo is still open to the public. It is a great challenge for the young team at the center to welcome wild animals in distress, to heal and release them when possible, but also to treat animals in the zoo and give them a better life, especially by stimulating them with entertainment that allows them to develop natural behaviors (foraging, hunting ...). When Eve Mansfield and George Sullivan, the young people in charge of the rescue center, took office, they realized that the zoo was home to very rare local species such as Siam crocodiles (estimated at only 300 individuals to date) or the deer pigs. They have initiated programs to increase the population for future reintroduction into the wild. The center is also in the forefront of safeguarding the saola, dubbed the unicorn of Laos, one of the most endangered species to date. The daily tasks are numerous: to ensure the good communication with the employees of the zoo, to check the state of the animals, to build new parks specially thought to arouse the natural behavior of the animals, to imagine them new entertainments, but also to develop a education program to improve the knowledge of wildlife by Laos, and reduce wildlife trafficking. The center has a volunteer program (paying): it is possible to be accommodated in the center and to work on the improvement of the parks, the manufacture of entertainment and the maintenance of the enclosures. The center only works through donations and volunteers. To follow the activity of the center and support its action, you can go to the website by clicking here and see their Facebook page by clicking here.